The Miami Marlins received a nice little haul in the deal that sent J.T. Realmuto to the Philadelphia Phillies on Thursday. Having waited until the last minute prior to the start of spring training, it didn’t look like a deal would get worked out this winter. Obviously, Miami didn’t view Realmuto as a long-term cog in their rebuild. Meanwhile, the All-Star backstop didn’t want to be part of said rebuild. If their negotiations regarding a contract extension are any indication, neither side really wanted to do business with one another. According to Jon Heyman if MLB Network, Miami was offering the 27-year-old catcher a five-year, $60 million contract. For his part, Realmuto was looking for a deal similar to Buster Posey’s with the San Francisco Giants. That is to say, $160 million over eight seasons. Having earned a total of one All-Star appearance in four seasons with the Marlins, Realmuto’s ask was not realistic. But for Miami to come back with that low-ball offer is just insane. The good news for fans in Philadelphia, Realmuto might very well change his tune in negotiating a long-term deal with the Phillies. Realmuto’s ask of Marlins — about the Posey deal — likely reflected his reluctance to stay long-term with rebuilding team and doesn’t necessarily mean he’d ask exactly that of the Phillies should they try to sign him long-term. 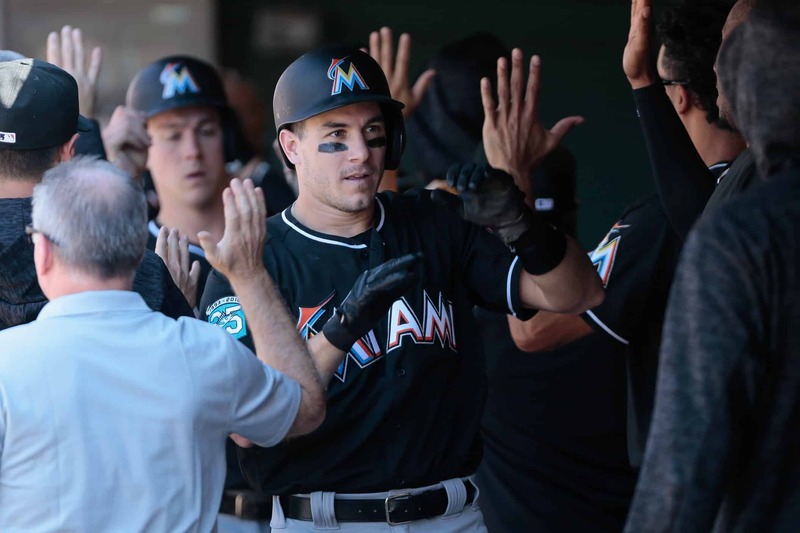 One of the best catchers in the game, Realmuto hit .277 with 21 homers, 74 RBI and a .340 OBP with Miami last season.